Inline Lighting and Electric Supply Company, founded in 1998 with one Huntsville location, strives to be the best lighting source for commercial and residential customers. The company has since grown to serve the entire state of Alabama with locations in Cullman, Jasper, Birmingham, Pelham, Gadsden, Albertville, Trussville, Montgomery, and Auburn. With both a consumer and business customer base, Inline Lighting and Electric Supply Company needed to make a big impact on a statewide audience. Alabama Media Group was challenged with finding a unique way to put Inline Lighting and Electric Supply at the top of every Alabamian’s mind. What could reach such a large audience? Football. Inline saw such great success from their exclusive sponsorship of Signing Day 2016, they knew they had to sponsor Signing Day 2017. The targeted sports audience provided the ability to reach both Inline Lighting and Electric Supply Company’s commercial and residential customers. For Signing Day 2017, AL.com provided live-stream coverage, highlighting each University of Alabama and Auburn University signee along with live analysis of news and rankings as well as exclusive videos featuring top recruits. The videos were shared on Facebook, YouTube, and AL.com. Sponsored by Inline Lighting and Electric Supply Company, AL.com’s live stream ran for eight hours and brought in over 100,000 viewers on YouTube and Facebook. Signing Day has grown in coverage and popularity throughout the country, especially in Alabama. AL.com leads the state in providing in-depth, football news year-around. 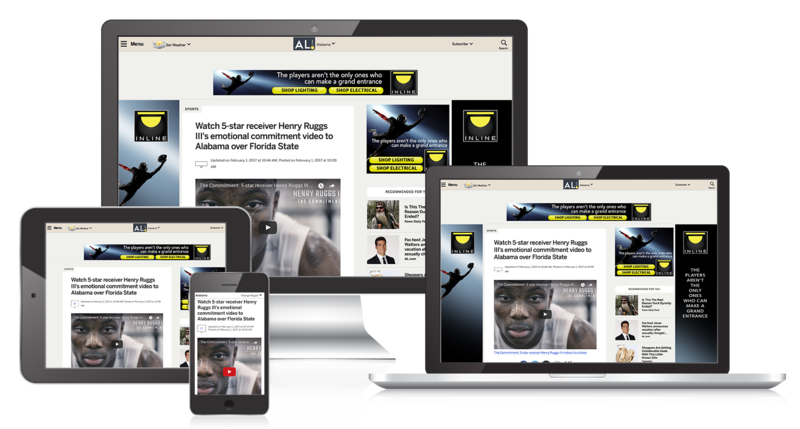 The client’s campaign included high impact wallpapers, AL.com impressions, sports email newsletters, and exclusive sponsorship of all of AL.com’s Signing Day video coverage. Alabama Media Group’s Signing Day Sponsor package included the 3 main components necessary for a successful branding campaign: frequency, consistency, and simplicity. 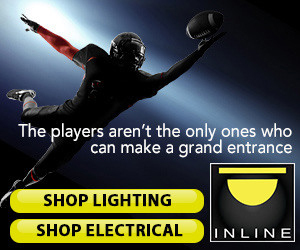 This ensured the target audience will see a message enough to notice, that it’s steady enough to recognize, and simple enough to remember – each component working together to achieve Inline Lighting and Electric Supply’s goal of statewide awareness. 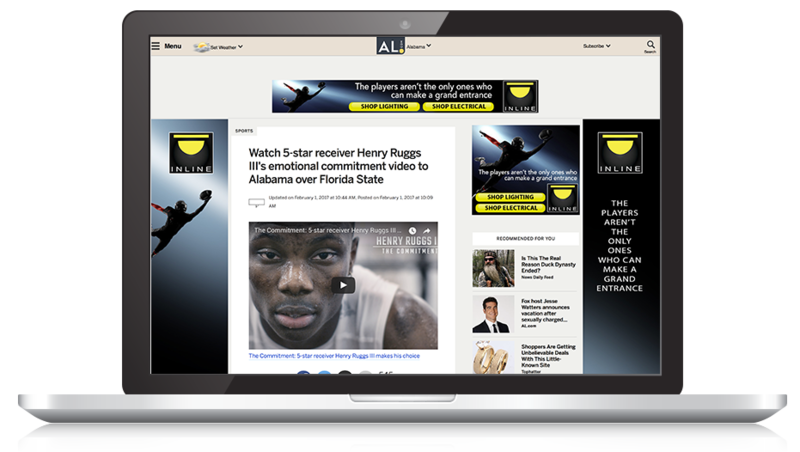 Henry Ruggs’ commitment to Alabama garnered more than 115,000 views on YouTube and another 415,000 on Facebook. Discover how our digital expertise can help propel your business forward.